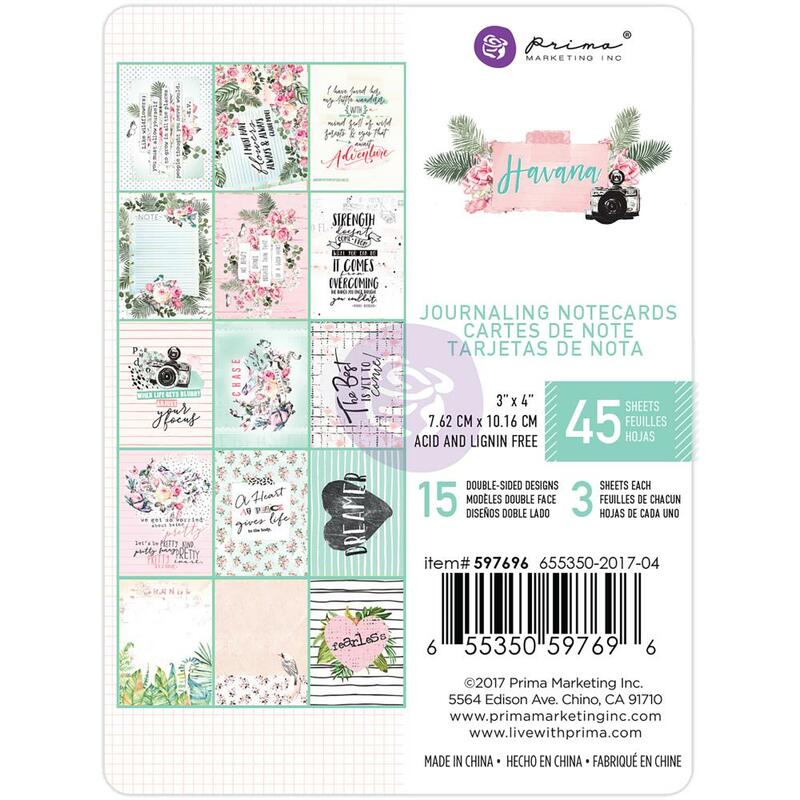 This 3" x4" Journaling Notecards has forty-five (45) Notecards. You'll find fifteen (15) Designs and three (4) Notecards of each Design. Note: These 3x4 Notecards are not accented with Rose Gold Foil. Look for coordinating 12x12 Paper Pad, Flowers, 3"x4" and 4"x6" Journaling Cards, Sticker Sheets, A4 Paper Pad, Washi Tape Collection, Designer Tickets, Ephemera Elements, Crystal Gems and open stock Individual Designer Papers. Havana Collection by Prima Marketing Inc. An absolutely Elegant & Stunning Collection! Note: The 12x12 Paper Pad and Individual Papers are accented with Rose Gold Foil. However, the A4 does NOT have Rose Gold Accents.